Does Karl Rove Want the GOP to Capture the Senate or Help a Bush Restoration? Doing the same thingover and over but expecting different results was Albert Einstein’s all-too-familiar definition of insanity. Yet that’sexactly what Karl Rove recommended in the Wall Street Journal last week to helpSenate Republicans “close the sale” in the midtermelections. We all should be wondering why. Rove warns candidates and incumbents “not to be cautious, timid, or unclear” but pushes a playbook largely followed by Republicans with little success since the 1990s. His dated mantra of “pro-growth policies like tax reform and regulatory relief, spending restraint to reduce the debt, and health-care reforms” helped neither John McCain nor Mitt Romney, and they failed to deliver control of the Senate four years ago. And don’t forget how the “Architect” suffered a famous meltdown during election-night coverage on Fox News in 2012 — when, confronted with the failure of his prognostications, he challenged projections showing Barack Obama had won the presidency. He also whistled in the dark right up to the disastrous 2006 elections and led George W. Bush to approval-rating depths where even Obama has not sunk. Dovetailing with Rove’s column, Republican National Committee Chairman Reince Priebus last week offered eleven “Principles of American Renewal” as the party’s campaign “vision.” His warmed-over talking points similarly channeled conservative think-tank wonkiness rather than address the anxieties of Middle America, now in far worse shape than when Ronald Reagan left the White House, the Washington Post just reported. The RNC obviously continues to cling to its own self-conducted “autopsy” blaming Romney’s 2012 debacle on everything but the party’s Wall Street-focused economic agenda. Still, Rove and Priebus are clearly not without chops as election strategists. As discredited as their past analyses have proven, they surely know that the ground has shifted with the rise of the Texas border, ISIS, and Ebola — all reinforcing middle-class worries — as 2014’s real campaign issues, and that the party won’t retake the Senate under the same old refrain. 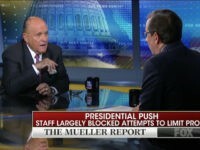 From Gallup to Kellyanne Conway and the New York Times/CBS News to Politico, the polls practically shout the fears of rank-and-file voters about basic “law-and-order” issues, especially regarding a word nowhere uttered in Rove’s op-ed: immigration. As I have written previously, Americans are furious over the border crisis, oppose Obama’s pending amnesty, and support the GOP over the Democrats on the issue. Even Rove and Priebus certainly recognize the president’s promise to confer American citizenship on millions of illegals — of course, after the election — as a gift to the GOP, a tidal-wave theme that could sweep Republican Senate candidates into office, even those whose Democratic opponents enjoy sizeable leads. Rove may think “it is always a challenge for the minority party to offer a disciplined, galvanizing national message,” but there’s no excuse for not playing the very good hand the GOP has been dealt this year. So why isn’t Rove telling GOP Senate candidates to stand tough for immigration control and border security? Or mocking Obama’s open-border craziness, as has Laura Ingraham, who tweeted: “Give me your tired, your poor, your infectious diseases… Ebola, TB, Scabies, Small Pox, Yellow Fever.” The answer borders on the unthinkable: Perhaps Rove doesn’t want the party to win big in 2014. If the GOP retook the Senate under the banner of American sovereignty and national security, such an achievement would call into question all the advice he’s dumped on the party for years, including his push for “comprehensive immigration reform” since his days with George W. And maybe his honored seat at Fox News and prime territory on the editorial page of the Wall Street Journal, whose editors proposed the beloved constitutional amendment of economic, cultural, and political elites — “There shall be no borders” — just two months before 9/11. Perhaps most important: a big anti-amnesty-fueled victory coupled with a Tea Party surge would preclude Jeb Bush, another fan of erasing the border between the United States and Mexico, from gaining the party nomination in 2016. 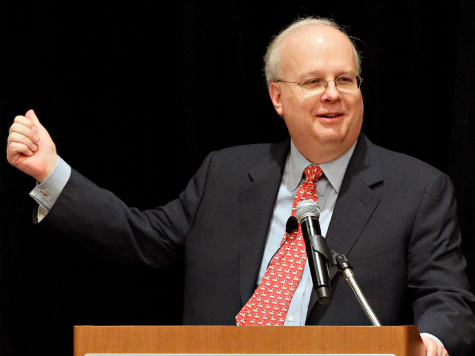 Are Rove’s loyalties really more to the Bushes than to the GOP? It would certainly explain why the strategist continues to ignore the immigration elephant in the room and to push antiquated nostrums that seem calculated not to help the GOP. Rather than helping his party rebuild the commanding center-right coalition that elected Eisenhower, Nixon and Reagan — presidents loved by average Americans but disdained by elites — Rove continues to dispense the same old prescriptions, potentially to pave the way for Jeb and an Establishment GOP comeback. Meanwhile, the party’s odds for winning the Senate, and especially the presidency, remain long — proving that the real insanity lies not with Rove, but a party that takes this crafty operative’s advice.